WordPress 3.8 is all about the admin interface design, which is awesome! 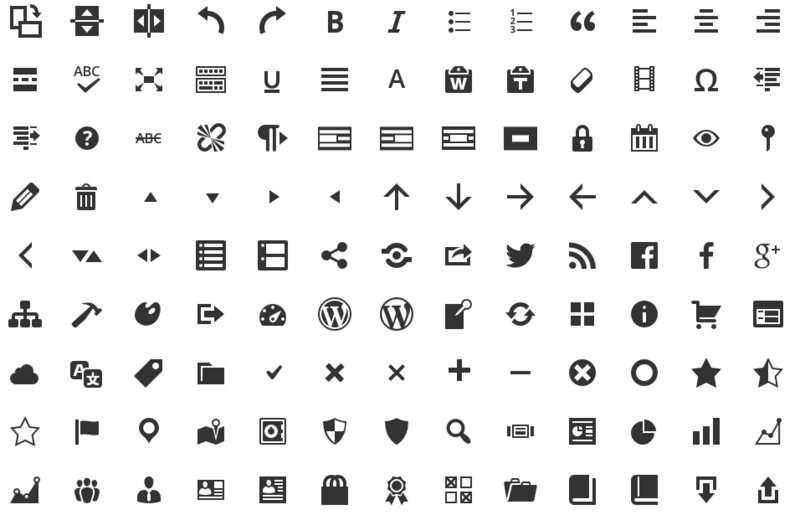 One of the improvements were the icons, served as a font – Dashicons – instead of images. The main advantage of doing it using a font, is that it can scale for retina displays and larger screens without losing quality. Neat isn’t it?! But, what happened to the old icons, served by the screen_icon() function when rendering a plugin options page at the admin? Yes, you know the answer: deprecated! So, How to set an Icon for your Plugin or Theme options page? Screen icons are no longer used as of WordPress 3.8. — says screen_icon() function. How to use dashicons on your plugin or theme options page? In this case I’m saying to the browser to load the content ‘\f179’ which is the dashicon-search. In order to use the dashicons font in your plugin or theme options page you don’t need to load the font, as it is already available, since it’s also used on the left menu. Are you using Dashicons on your options page? Or Font Awesome?